I have configured a Windows Server 2008 guest on VirtualBox v5.0.10 on a Windows 8 host laptop. They work fine and ping each other on bridged mode, IP address are served by a wireless router. Whenever I take the laptop off the Wi-Fi network, this setup no longer works, so I have switched to a host-only config with DHCP server enabled. 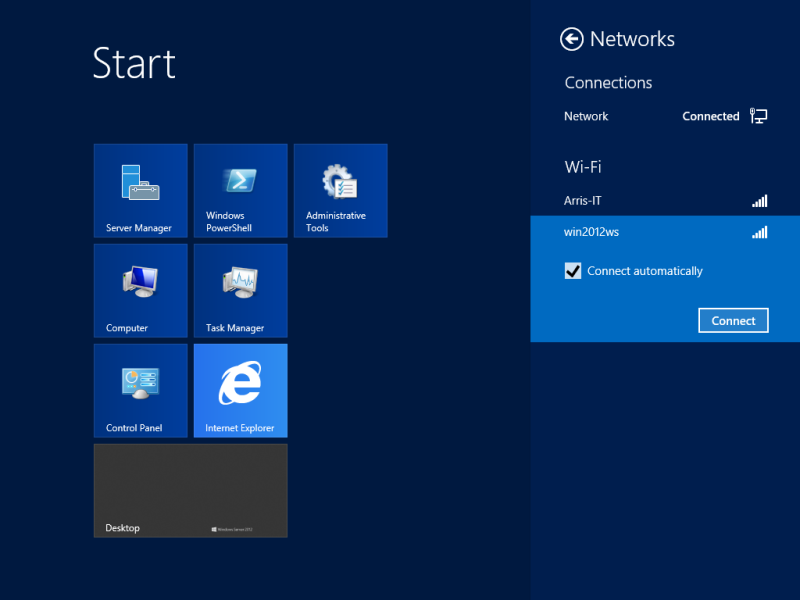 By default, Windows places all networks as public, and I was unable to change it until I found this article which says that you need to provide a default gateway entry for the NIC to be able to set the network location. After doing that (set gateway to host IP address), I could change the location and could ping the guest from the host. I did the same on Windows 8 host. When I changed the gateway address to point to the guest IP address, I was prompted from the charms bar: "Do you want to turn on sharing between PCs and connect to devices on this network?". I chose Yes. Now the guest can ping the host. From reading this answer to a different question, my guess is that because the network card on the host side is virtual, it's hidden from the charms bar network configuration. So how can I alternate the "Network location" between Public/Private for the "VirtualBox Host-Only Network" adapter on Windows 8? Is there a way to make it visible on the "Connections" list? Browse other questions tagged windows-8 virtualbox windows-server-2008 or ask your own question.